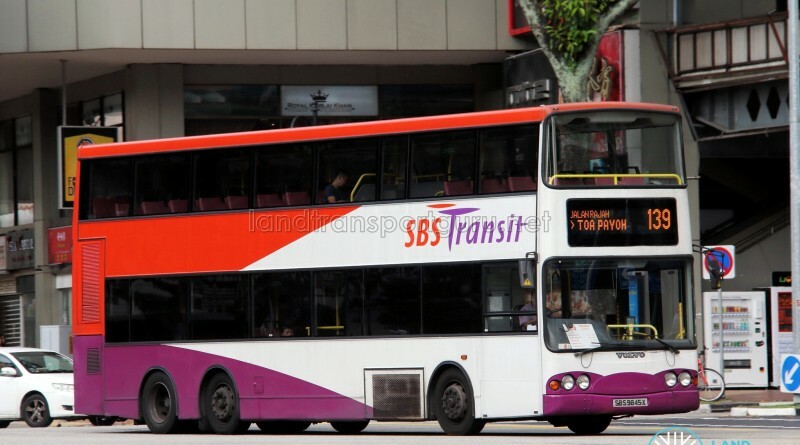 SBS Transit Bus Service 139 is a trunk route running between Toa Payoh Int and Bukit Merah Int, passing through St. Michael’s Estate, Jalan Besar / Serangoon Road, Dhoby Ghaut, River Valley, Alexandra and Lengkok Bahru. A route variant (Service 139M) is also operated. Service 139 is currently taking part in the Assistive Passenger Information System trial until end-April 2019. 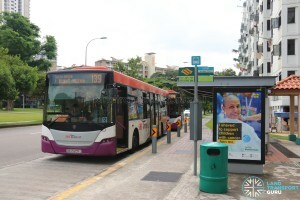 Bus Service 139 towards both Bukit Merah and Toa Payoh duplicates along Jalan Bahagia. Check the bus destination before boarding. 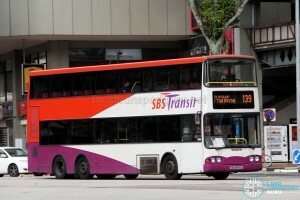 Service 139 is a trunk route connecting the residential areas of Toa Payoh, St. Michael’s, Boon Keng and Bukit Merah with connections to the city areas of River Valley, Dhoby Ghaut, Little India and Farrer Park. Offering various unique route connections, demand is largely moderate throughout the day. Double-deckers were first added to the fleet in 2011. The route receives considerable demand between Whampoa and Toa Payoh, as residents of St. Michael’s commute to nearby Toa Payoh Town Centre. 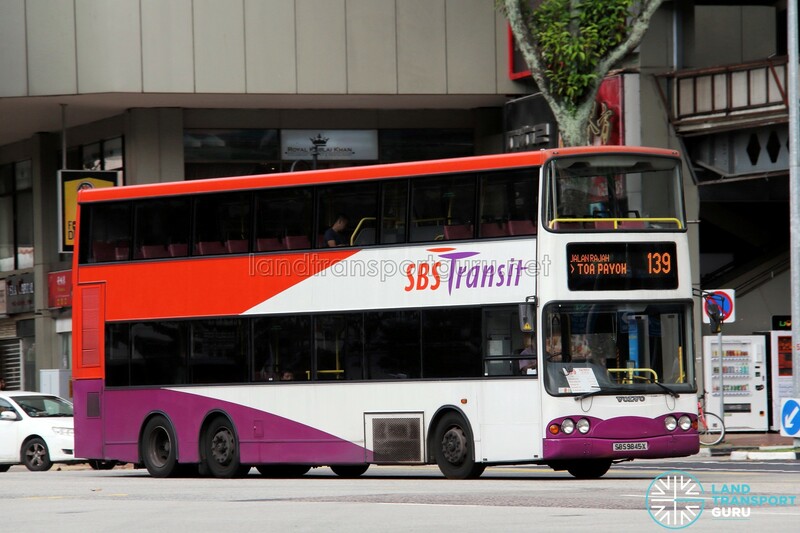 The sector has been enhanced with a supplementary bus service, Service 139M, from 14 Sep 2014. 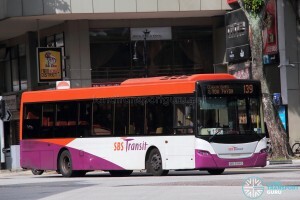 The Bus Service Operating License (BSOL) for this route will be renewed in 2026 under the Bishan – Toa Payoh Bus Package. 2012 (27 Aug): Introduction of shortworking trip 139A during PM Peak hours. 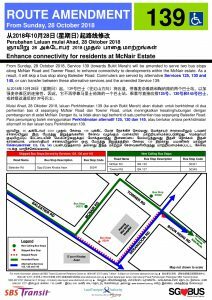 2018 (28 Oct): Amended to serve McNair Rd and Towner Rd towards Bukit Merah. 2018: Amended to present routing. No significant route changes since 2018.